We’ve been getting a lot of routers lately, but ones are quite interesting. 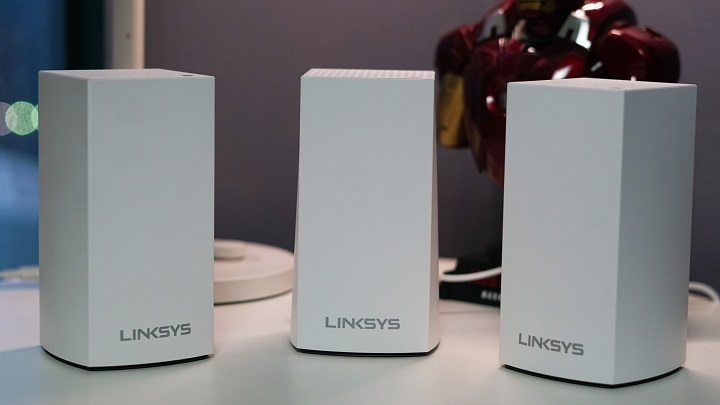 Meet the Linksys VELOP AC3900, or should we say meet three of them, as our package comes with a trio of these babies. 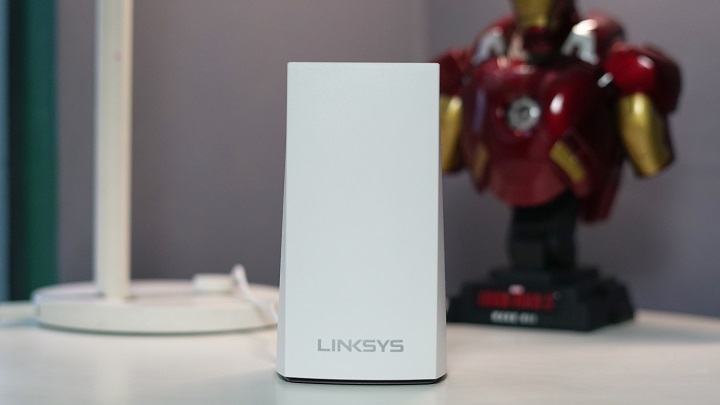 Will these be your next home routers? Find out in our quick review. 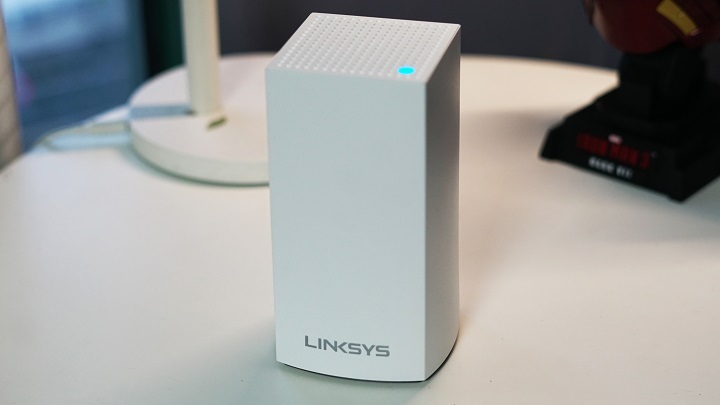 The Linksys VELOP AC3900 is not your conventional-looking router. It ditches the standard rectangular frame with antennas that we’re used to seeing, for a much smaller, sleeker node-like design. It’s a welcome change as it makes it relatively easy to position the routers in any spot in your home. They can even be mistaken for pieces of decor because of their size and how well they integrate with furniture. The simplicity of the design carries over to the port selection. All you get are two ethernet ports and DC-in. 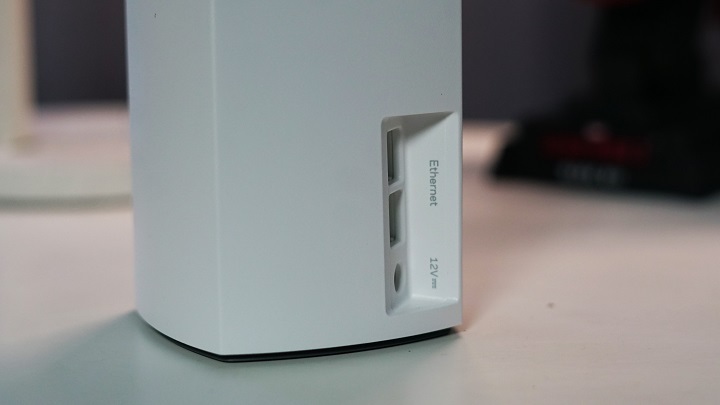 This is generally not an issue, especially for basic home use, as all you really need is one ethernet connection to your main modem. First thing’s first, let’s talk about the setup. It’s actually quick and easy to set-up, more so if you only have one node. If you have multiple, the only important step is to set-up your first node. After that, adding more is a breeze. We appreciate the hassle-free process Linksys has implemented. 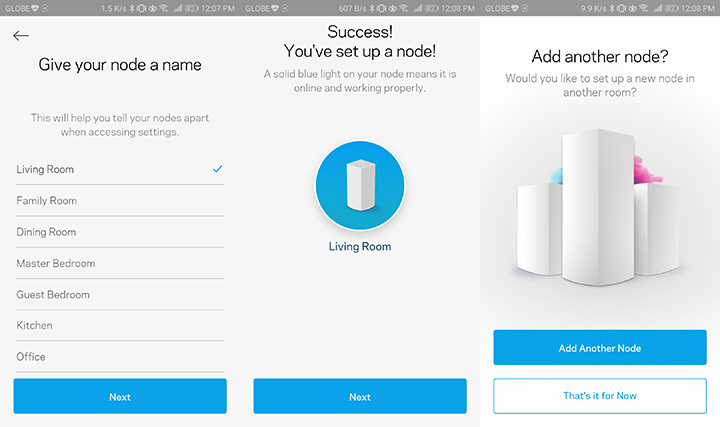 All you have to do is plug your router, connect your main node to your modem via ethernet, download the Linksys app and follow the instructions. 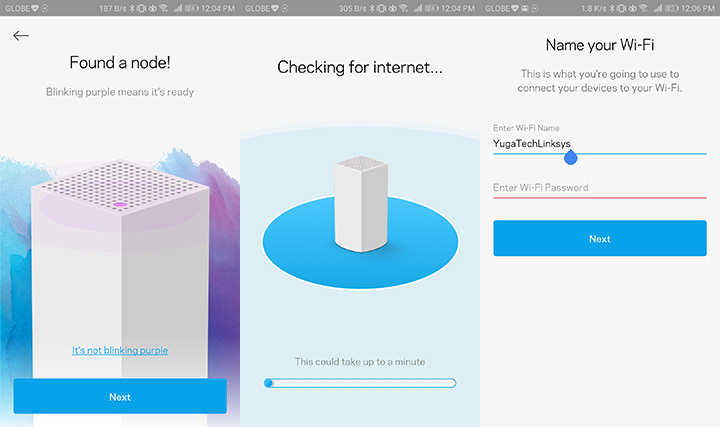 The app will prompt you to register for a Linksys account. Then, assign an SSID name and a password. The app will also ask you to name the node itself to prevent confusion when you are using multiple nodes. It’s also a good way to identify which node is which. After completing these steps, you’re basically done. Your singular node, or multiple nodes are all set up and ready for action. If there’s one thing the VELOP may lack compared to competitors, is its minimal software feature offerings. It actually doesn’t even have a browser-based settings UI, to begin with. The main features of the routers include Guest Access, Parental Controls, and Device Prioritization. These are some pretty useful features, but for the price, we expected a lot more control. These features are easy to access with quick shortcuts to them right on the main dashboard. 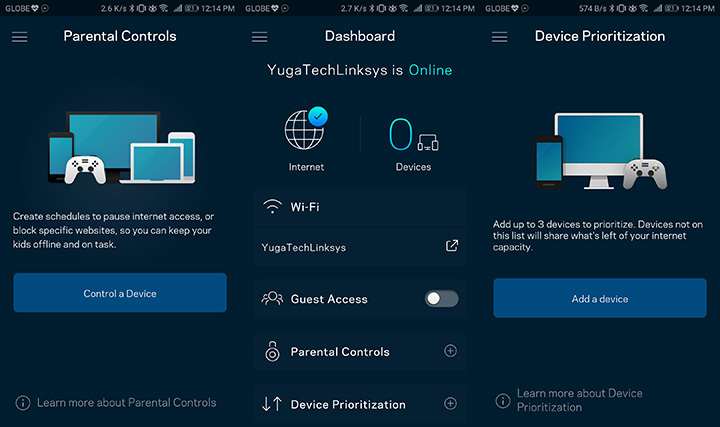 This includes an easy on and off toggle for guest access and quick addition of devices to the parental controls and prioritization tabs. The dashboard itself also shows current relevant information, such as connected devices and internet status. Another welcome feature is a built-in speed checker. Finally, you have VELOP administration, where you can easily manage connected and set-up nodes. 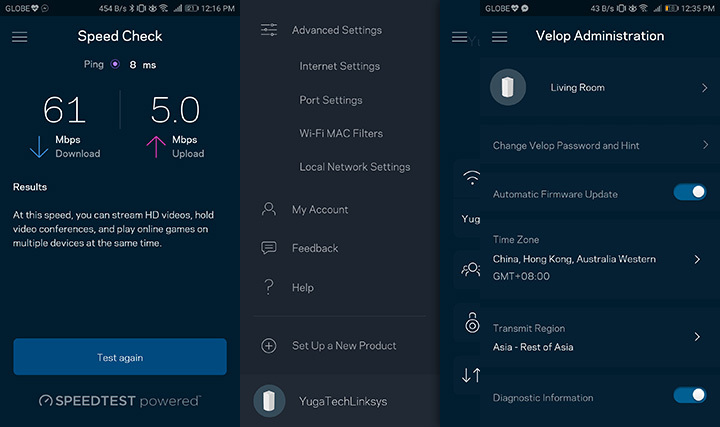 The advanced network-savvy among you will also be happy to hear that the router at least allows for port forwarding and other adjustments under the “Advanced Settings” tab. That’s about all it has to offer though. Despite the lack of the usually advanced controls we’re used to seeing in most other routers, we appreciate the easy nature of the UI. Outside of the software management-side, the VELOP has a “self-healing” feature that’s pretty nice. This means that if one of the nodes loses connection, the remaining active ones will do their best to connect to each other to maintain your mesh ecosystem. 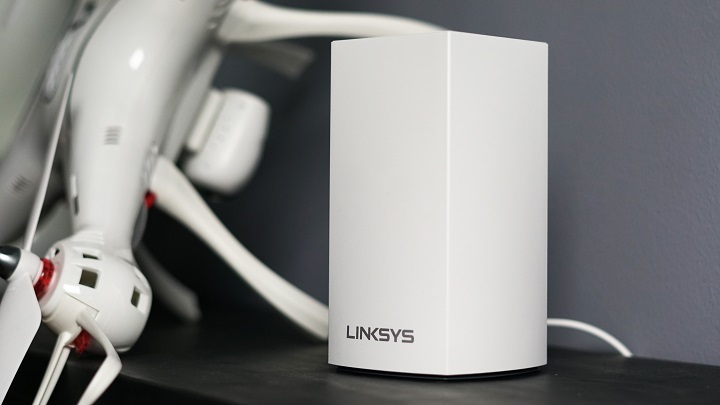 The Linksys VELOP AC9300 is an interesting mesh router, indeed. It has a small frame that you can easily place in any spot and a simple setup process. Basic features are also covered and well-implemented, and the UI is fun and easy despite the lack of advanced control. We do really miss additional features like advanced security measures an actual browser-based settings management UI.